Hi, I would like to schedule a showing for 25342 Malibu Road please, thanks! Located on one of the most sought-after streets in Malibu, Old Malibu Road. This beach house boasts 50 ft of dry sandy beachfront. A flowering gated, garden courtyard invites you into the main level of the home - consisting of two bedrooms, an open family room, dining, kitchen and breakfast eating area, all with breathtaking views to the beautiful ocean views and leading to an expansive deck with a private hot tub. 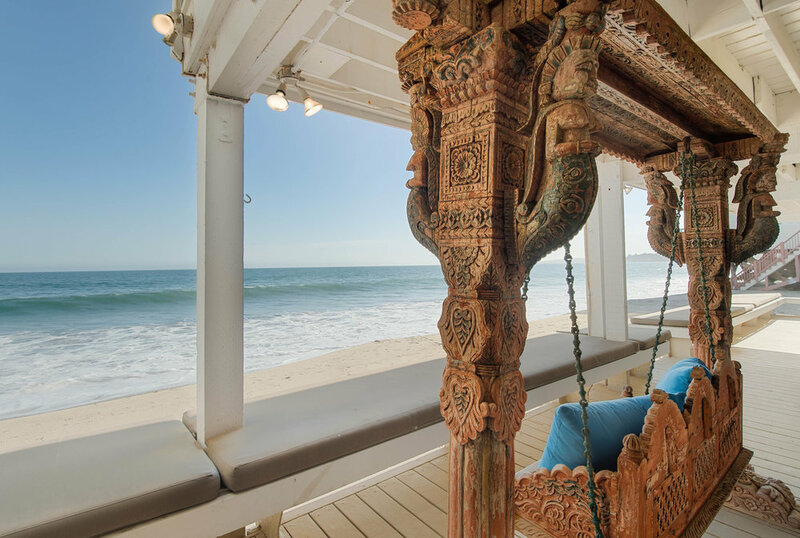 The upper floor features an oversized master bedroom with a large walk-in closet and exquisite master bathroom that emulates a zen-spa atmosphere with ocean views, spa tub, steam shower and private deck. Also upstairs is an additional bedroom, bath, and large media room. The lower level is designed for entertaining on the beach with a built-in bar, sauna, 3/4 bath, and large living/recreation area - all stepping out another deck just a foot above the sand. An outdoor shower and storage for beach toys complete the picture. Ideal luxury coastal living.